And so I turn to my trusty friend, the bread maker. 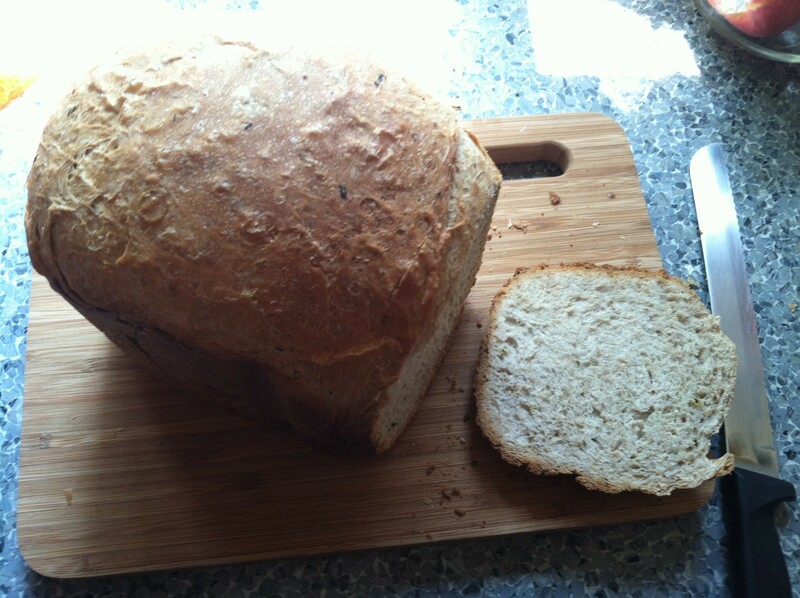 Its probably the best kitchen item I was ever given, that bread maker. Its seen a lot of flour and made a lot of amazing bread. And this recipe is one of my favorites. Its pretty simple as bread recipes go. 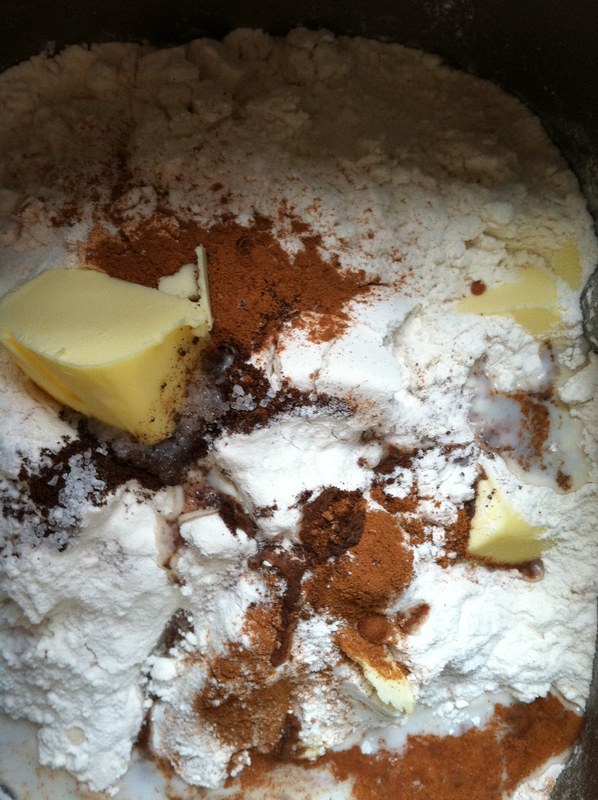 Simply adding in flour, water, sugar, butter and the grated zucchini, a little ground clove and a little cinnamon. Close the lid, add in the yeast to the dispenser at the top of the machine and press start. 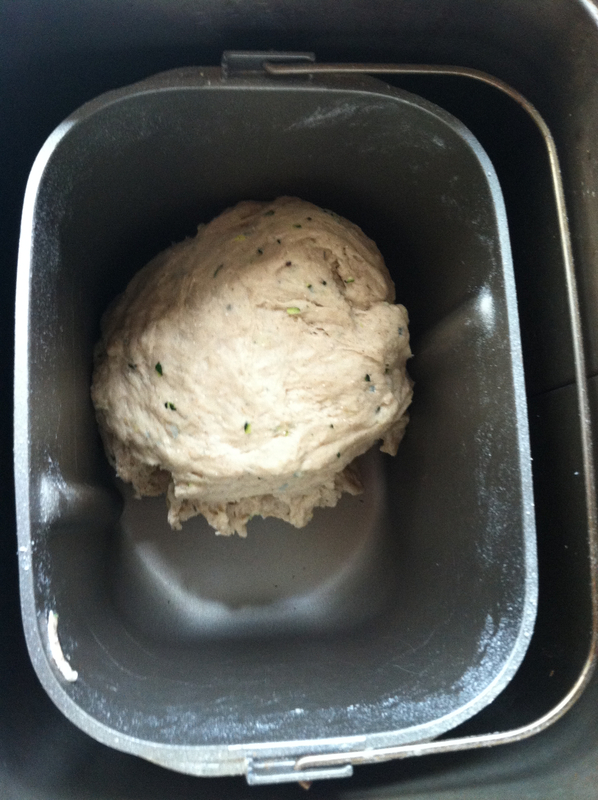 It takes about 4 hours from start to finish for the bread dough to mix, rise and bake. Even on a hot summer day, its totally worth it. Everything tastes better on a piece of freshly baked bread. 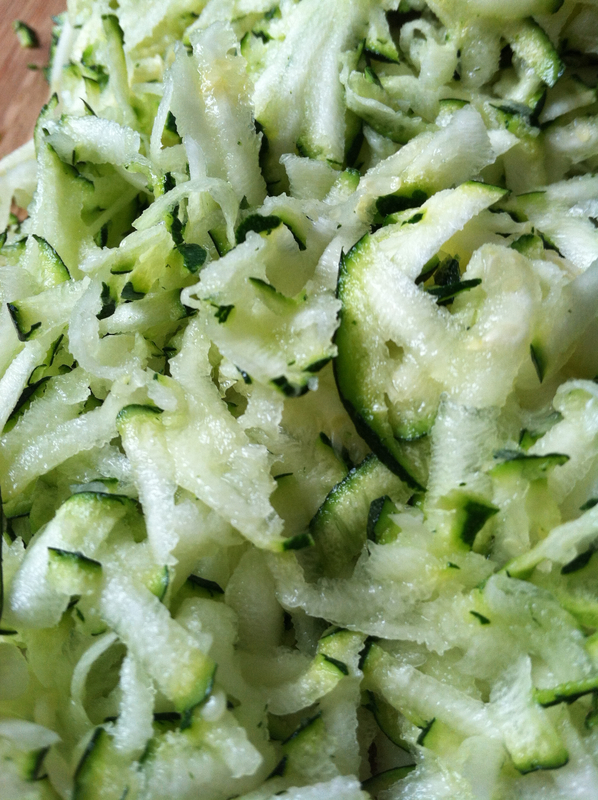 a csa bounty of zucchini, squash & onions…oh my!